running. Please increase this windows size to hide the notification ! 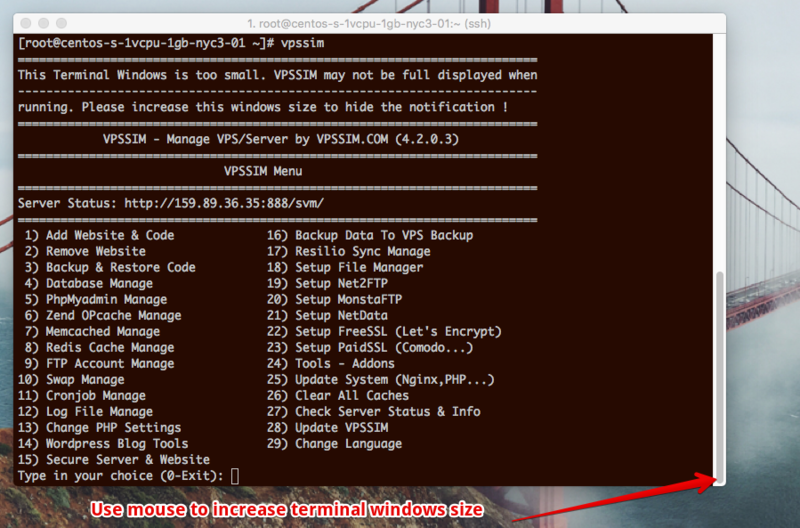 It means your windows terminal is smaller than the size VPSSIM request. If you get this error, you must increase you windows terminal for your SSH silent.